For a lot of people, their first and only exposure to the world of hypnosis is through an entertainment stage hypnotist. They watch television programs or stage performances where the stage hypnotist induce participants into a hypnotic state and request them to do silly antics like hopping around or pretending to be someone else. This more often then not, creates a negative light on hypnosis in people’s mind as something that is purely done for entertainment value only. Weight Loss Hypnosis programs on the other hand, do not get much media coverage. Hypnosis for weight loss is vastly different those performances you see on stage or on television. There are no stage hypnotist telling you to do silly antics rather, these programs are done in privacy and by a qualified weight loss hypnosis therapist or in the comfort of your own home if you are doing a weight management program by listening to hypnosis cds for weight loss. If you are an individual who has been suffering from weight problems and have tried every single kind of diets and exercise routine without any major successes, then it is important that you know and are aware of what weight loss hypnosis is and how it can help you tremendously in gaining control of your weight back. Weight loss hypnosis is not a new fad in the weight management industry. In fact, its techniques has been used and modified continuously throughout the years in helping people control smoking, improve memory, control pain and of course lose weight. Why should you be aware of hypnosis for weight loss ? Simple, the reason is that, it works ! It is effective in controlling your cravings and allows you to activate your inner motivator in periods where you feel tired and thinking of skipping your exercise routine. How does a weight loss hypnosis program do that ? 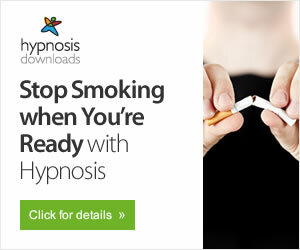 Under a guidance of hypnosis cds specifically designed for weight management or through working with the help of a qualified weight loss hypnosis therapist, your inner habits that resides in your subconscious mind will be “re-programmed” to replace the unhealthy eating habits with good eating habits instead. Your habits and thoughts and behaviors resides in the subconscious portion of your brain and this portion is the powerhouse part of your brain because it deals with your feelings and emotions. Research has shown that feelings and emotions almost always overrides logic. That’s why sometimes you know that some food are bad for you, but you end up eating it anyway. Weight loss hypnosis erases these unhealthy thoughts. Instead, it tries to plant new thoughts about food and the choices you can make about food. This immediately give you the power to get control of your cravings towards food. Your mind will now sudden be more aware of what you are about to put into your mouth and whether it will help you lose weight or not. No more uncontrollable late night snacking or binge eating sessions as your subconscious mind now serves as your nutritionist everywhere you go. Weight loss hypnosis also complements any diet or exercise program you are going through. Besides implanting positive thoughts in your mind, you are also thought goal setting techniques to help you achieve a realistic weight loss goal for yourself. This is important because many people who have taken up such programs give up after a while because they think that by going to a couple of these sessions, their unwanted pounds will shed off by itself automatically. In contrast, weight loss hypnosis programs are not stand alone problems. You will still need to keep to your diet and exercise programs, however, through a hypnosis program, you will be better equipped with the mindset and the power to follow through what ever diet and exercise regimes that you have chosen. This power will enable you to keep the weight off for the rest of your life without pushing or forcing yourself to stick to a diet or an exercise regime. Alvin has been researching weight loss hypnosis programs and his website contains a lot of weight loss hypnosis information and reviews that are useful for anyone.